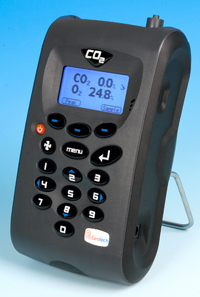 Geotech is the market leading manufacturer and supplier for biogas and landfill gas portable analysers. 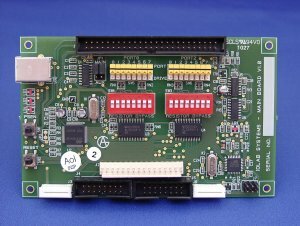 Topaz Electronic Systems, trading as thINKtank UK, is a leading manufacturer of aftermarket Chips and Resetters for the printer cartridge remanufacturing market. Optident Ltd lead the way in providing the dental profession with innovative products and services. 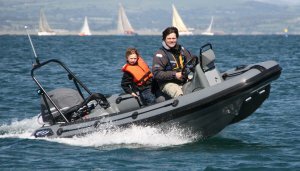 Makmarine Ltd. are inventors of the unique C-FuryTM range of craft, designed to deliver fun in a small package, allowing the family to feel truly free on the water. "We approached Chipenable to help us develop a one off prototype electronic throttle system (ETS) for the concept demonstrator of our high-performance family watercraft, the C-Fury Storm - a technically advanced vessel with exceptional dynamics and rough water capability. Key to the success of the Storm was precise and repeatable operation of the ETS across a wide temperature range and an electrically noisy and aggressive marine environment with lots of shock, vibration and salt water. Above all the system had to be inherently failsafe as the ETS is a safety critical control system. Given a small budget and short timescales, Andy delivered a bespoke solution that was elegantly engineered, well documented, on time and on budget. After extensive testing the ETS proved a massive success with all testers - we are looking forward to developing our production variants with Andy. Following the success of the ETS, we recently had a small project needing a prototype controller for a new deck lighting system, which integrates with the Yamaha outboard engine remote immobiliser. With a simple specification, Andy quickly and cost effectively adapted the core module from the ETS design - it worked perfectly straight out of the box. 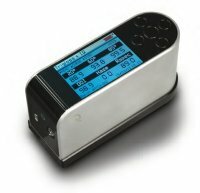 ioLab Systems manufactures USB input devices for researchers requiring high accuracy response time measurement. 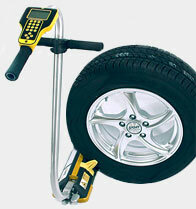 RL Automotive are tyre service product providers for the Car, Van, Truck and Aviation markets, with a product range that stretches from valves and balance weights through to sophisticated tyre data measurement and transmission equipment. Key Futures provide technical skills to assist SMEs to develop Internet applications and databases, build and maintain websites, and to integrate websites with back-end applications. 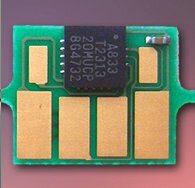 Services provided: Software, Prototype Assembly. AE Consultants UK A design partnership delivering design and manufacturing solutions to UK and USA specialist vehicle builders in the commercial and military sectors. © 2011-2013 A Gayne, t/a CHIPenable. All trademarks are acknowledged as property of their respective owners.